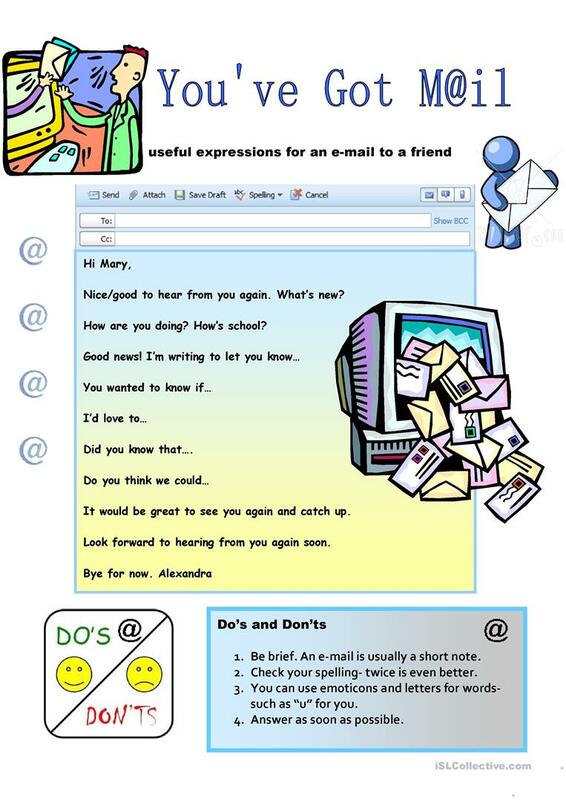 Expressions to use in an e-mail to a friend and a few do's and don'ts. High school students rarely send e-mails but are required to do so for official tests. They often find it difficult to use the correct register. This downloadable handout was created for high school students and adults at Intermediate (B1), Upper-intermediate (B2) and Advanced (C1) level. It was designed for developing your students' Writing skills. It is focused on the topic and words of Computers & Technology. The solutions are provided, too.